JEFFERSON CITY - Officials on both sides are debating a bill that puts education at odds with tourism Monday night. 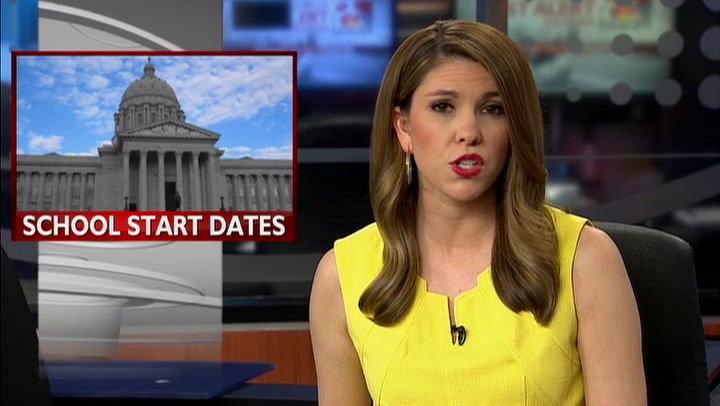 House Bill 161 would limit when Missouri's public schools could start their school year. If the bill is passed, no public school would be able to start their school calendar earlier than two weeks before the first Monday in September. Sponsor Rep. Jeff Knight (R-129) said the measure would help combat falling revenues in areas that depend on tourism. "These schools are starting earlier and earlier and tourism is probably our second largest industry in the state," he said. "When you eliminate weekends from the state of Missouri, you eliminate a lot of revenue." Knight represents Dallas and Leclade counties, places he said seeing tourism drying up as families head back to school earlier and earlier. "They’ve experienced a 37 percent decrease in lodging tax alone from July until August over the past 10 years,” he said. Knight says even one more weekend of business could go a long way for one canoe outfitter in his district. "One non-holiday weekend for him will bring in $40-60,000 and that’s one canoe outfitter out of fifteen we have in our district on a small river," he said. "What that weekend adds in revenue is astronomical." But school and education officials said they aren't convinced. Columbia Public Schools spokesperson Michelle Baumstark said school districts need local control. "Overall, anytime we're talking about building a school year calendar, we really feel like it's important that the local school districts to have a say in what that calendar looks like." According to Baumstark, school calendars don't have a one-size-fits-all solution. "Each community is different in regards to it's challenges, the types of needs they need to meet in their community," she said. “Branson or Lake of the Ozarks, Sedalia, they may have other needs that are different from what we have in Columbia so we do feel it's important there is a certain level of local control when we look at building calendars." But Knight said this is an opportunity to kill two birds with one stone. The bill is in the Senate and is waiting to be voted on to the Senate calendar.